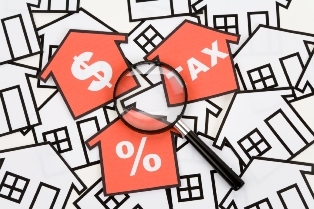 Amid the federal and provincial governments’ current efforts to stamp out tax evasion in overheated real estate markets such as Vancouver and Toronto, various observers have offered their suggestions on what can be done to address the most pernicious effects of these illicit financial activities. Speaking to The Globe and Mail, Vancouver-based immigration attorney Richard Kurland argued that it’s high time for stronger interventions as “people are getting away with doing the wrong thing,” referring to the increasingly commonplace practice of individuals selling multiple properties without informing the Canada Revenue Agency (CRA). Kurland added that among the most effective steps on the government’s part would be to start tracking home sales (especially of investment residences), along with facilitating the sharing of tax residency information. In particular, provincial authorities should require the participants of every transaction to provide their tax status to the Land Title and Survey Authority of B.C.—which in turn could forward the information to the CRA, and thus allow the organization to identify tax evaders. Retired accountant and former KPMG partner Gary McDonnell agreed that this measure would help immeasurably in addressing the abuse of principal residence claims in Vancouver and Toronto. “If the taxpayer knows that all property transactions are being reported to CRA, they would be under no illusions of getting away without reporting the sale of a property,” McDonnell said.